Kindly note the unusual venues at both Clayton and Caulfield. Our normal seminar venues are being upgraded. Individual's decisions, from what product to buy to who to vote for, often depend on what others are doing. People, however, rarely have global information about others, but must estimate it from the local observations they make of their friends. I discuss the counter-intuitive phenomena by which the structure of social networks significantly distorts the observations people make of their friends. The effects include the “friendship paradox,” which states that your friends have more friends than you do, on average, and its many more surprising generalizations. As a result of these paradoxes, a trait that is globally rare may be dramatically over-represented in the local neighborhoods of many people. Friendship paradoxes may lead individuals to systematically overestimate the prevalence of a minority opinion or behavior, and may accelerate the spread of social contagions and adoption of social norms. 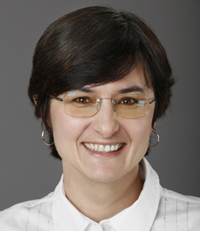 Kristina Lerman is a Principal Scientist at the University of Southern California Information Sciences Institute and holds a joint appointment as a Research Associate Professor in the USC Computer Science Department. Trained as a physicist, she now applies network analysis and machine learning to problems in computational social science, including crowdsourcing, social network and social media analysis. Her recent work on modeling and understanding cognitive biases in social networks has been covered by the Washington Post, Wall Street Journal, and MIT Tech Review. Tea, coffee, and snacks will be available at the primary venue for the audience after the talk.